Last winter Top Gear Winter Tyres Liverpool helped more motorists stay safe on the road with winter tyres than anyone else. This year we have ordered even more and are determined to do all we can to help customers from Liverpool keep moving through the winter. Winter Tyres Liverpool have a special low temperature tread compound and should be fitted to cars when used below 7 degrees centigrade. 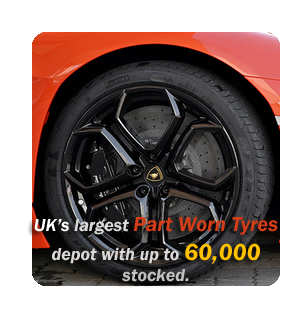 Winter Tyres Liverpool tread blocks have wavey cuts in them which allow the tread block to deform and put-up an number of attacking edges to the road thus increasing grip and drastically reducing braking distance in snow and icy conditions.